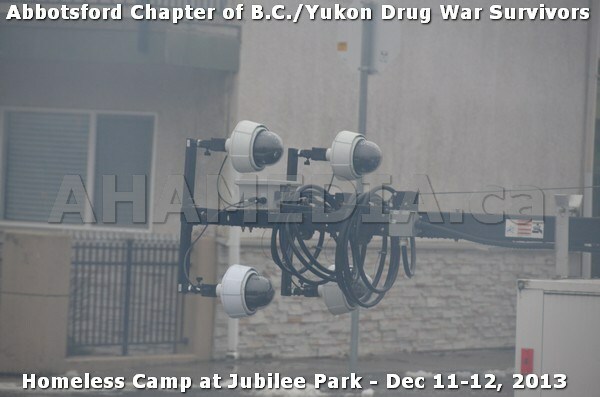 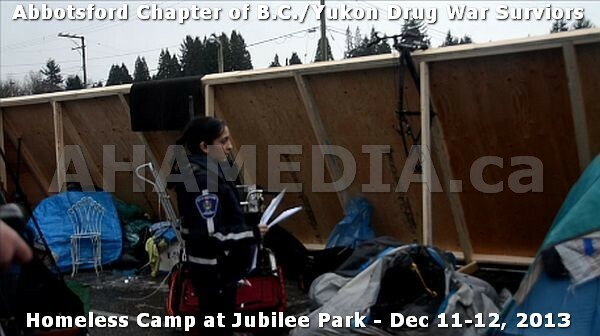 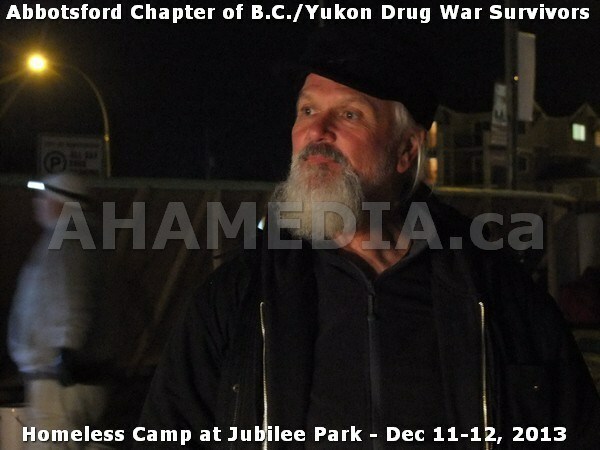 AHA Media arrived at Jubilee Park in Abbotsford at around 9pm on Wednesday, December 11th 2013. 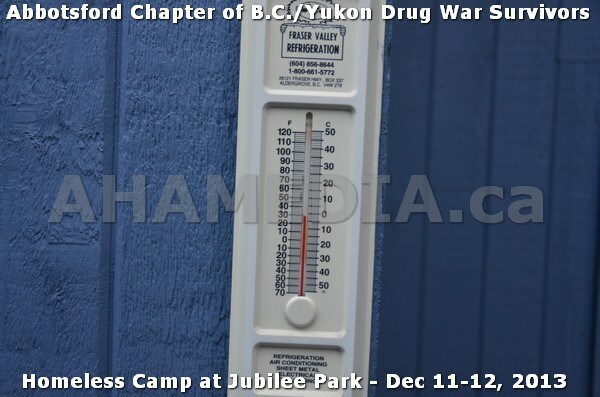 It was cold and windy, the winter weather was harsh on the 30 or so homeless men and women that had set up here in there last place of refuge. 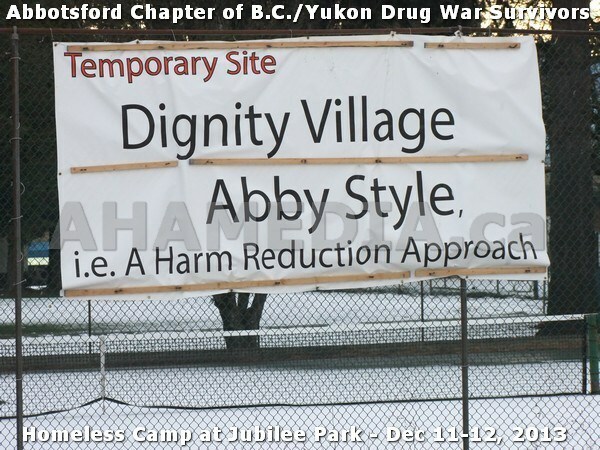 In Abbotsford, you can only stay 5 days out of the month in a shelter. 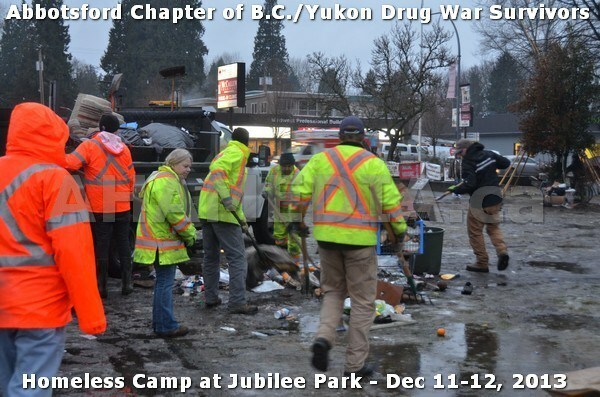 If you smell like alcohol or use drugs you are kicked out for 30 days minimum – very strict policy. 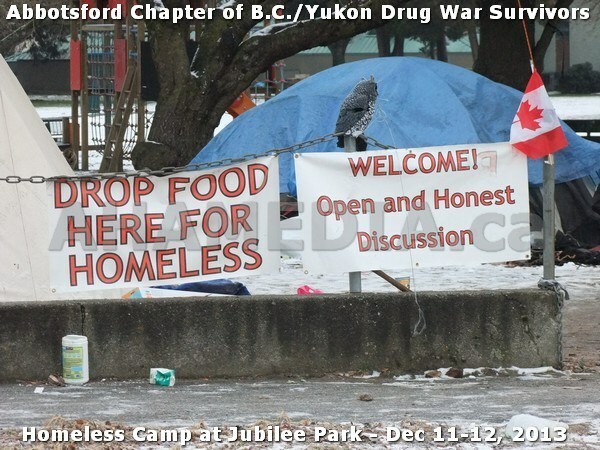 Where are the homeless people to go? 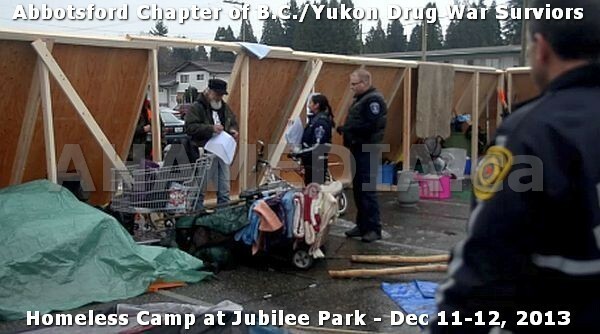 They are forced to build their own camps. 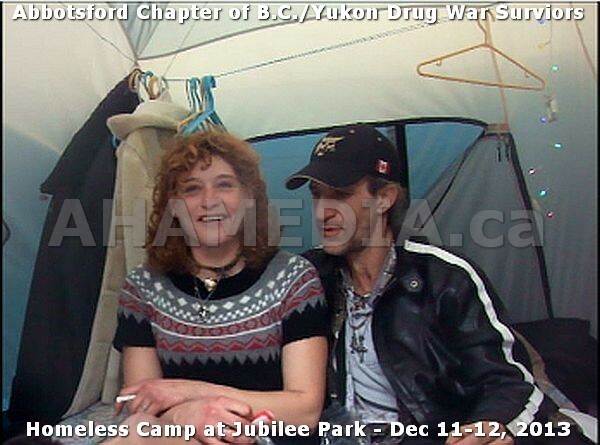 The City of Abbotsford chased them out of location after location. 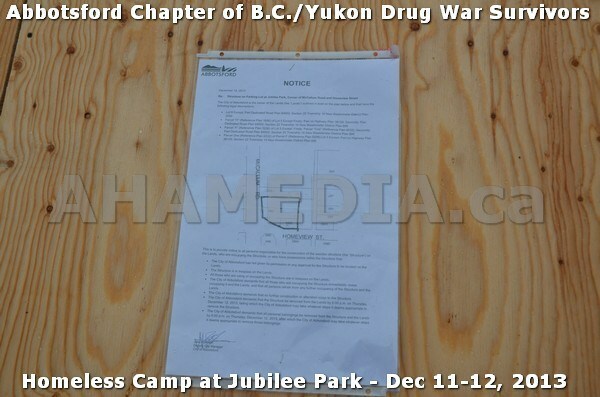 Chicken manure was spread on one spot, and then another camp was invaded and torn to shreds. 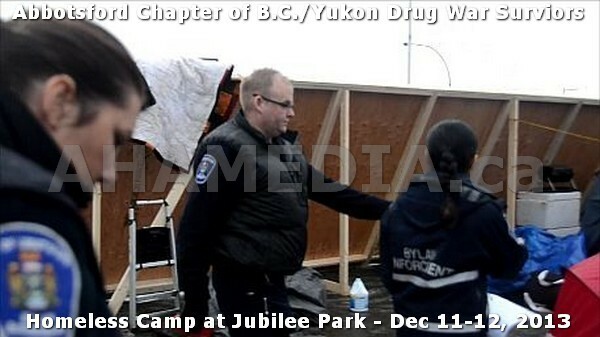 Pepper spray was used on defenceless citizens who only wanted a safe place to sleep without harassment and intimidation. 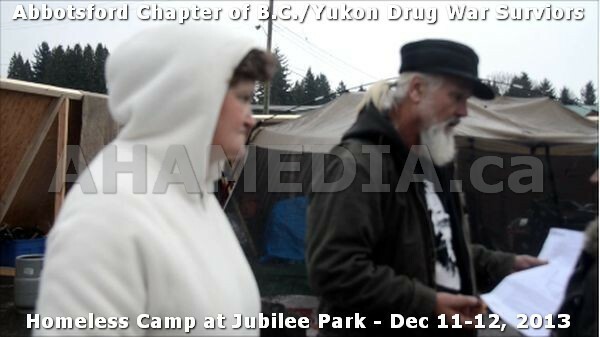 These following videos and pictures chronicle our 25 hours at Jubilee Park. 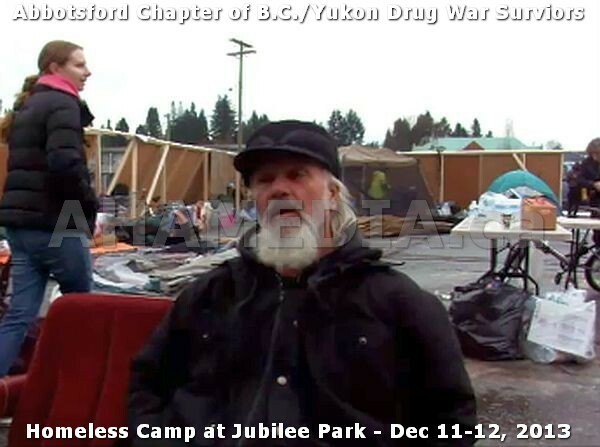 The City of Abbotsford has served them an eviction notice, but they are staying. 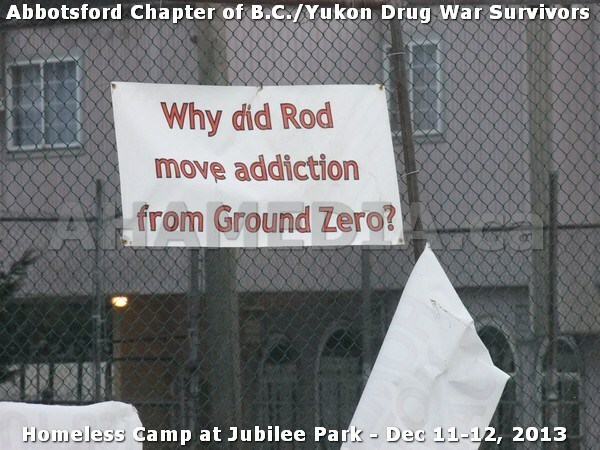 They were camped in the park for almost 60 days. 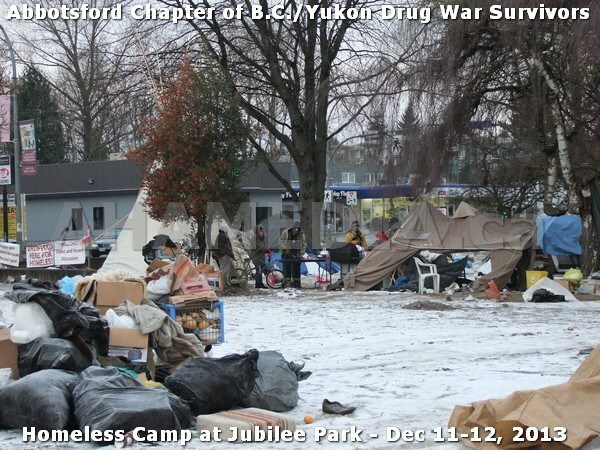 Now this parking lot next to the park is their last refuge. 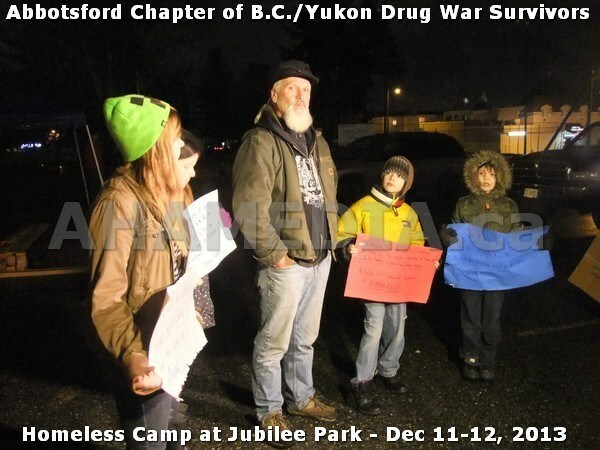 What are their demands? 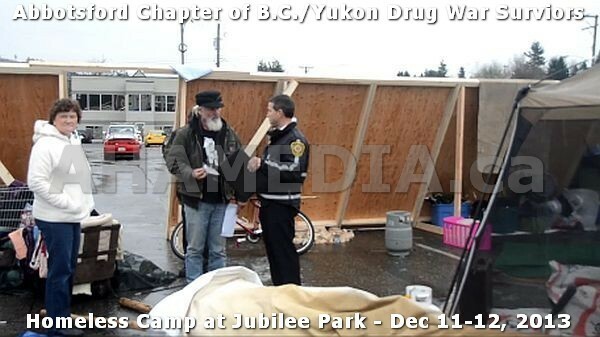 A low barrier shelter that won’t kick them out or judge them or intimidate them. 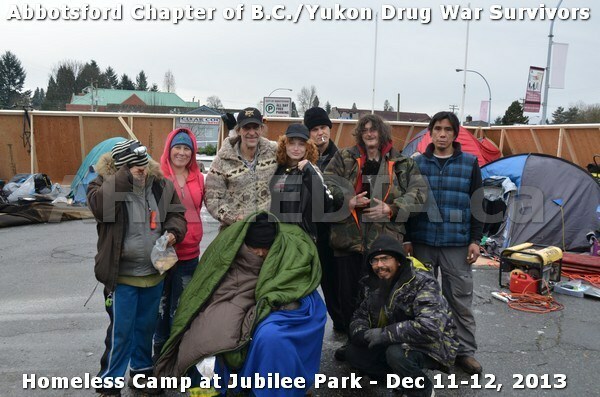 They banded together, the homeless people but then they got a court injunction to stop everything at 6pm, police action occured, City of Abbotsford said that they were going to appeal it, they put up a new injunction on Friday morning, and this is an ongoing legal process. 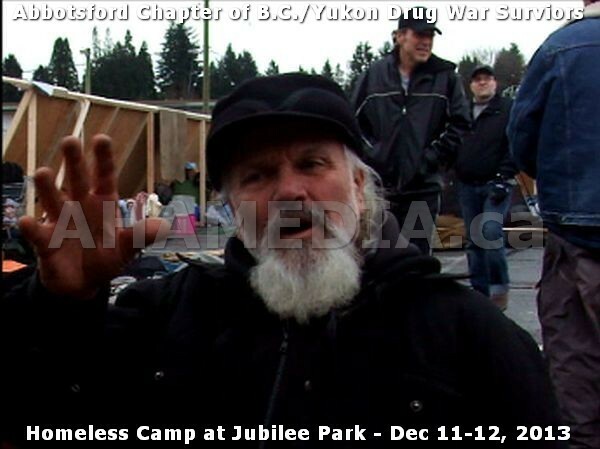 Barry Shantz was our guide through the camp. 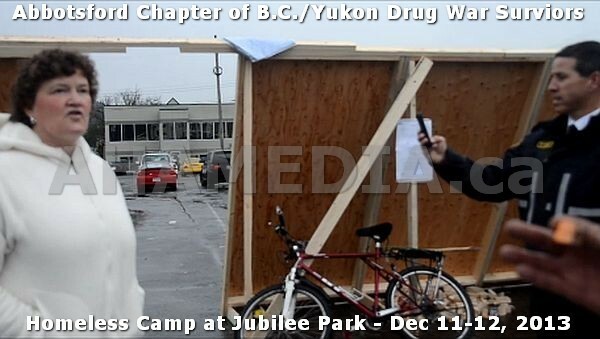 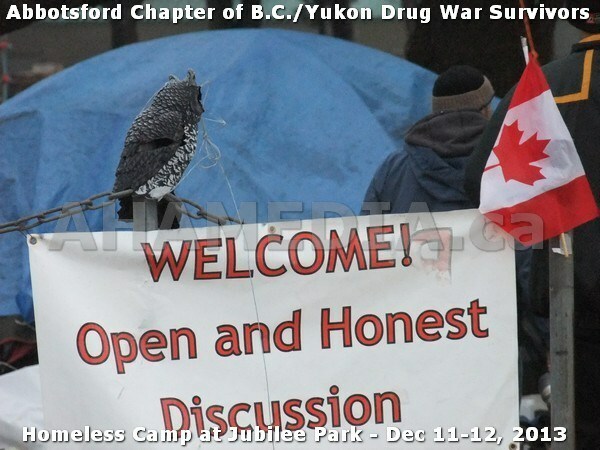 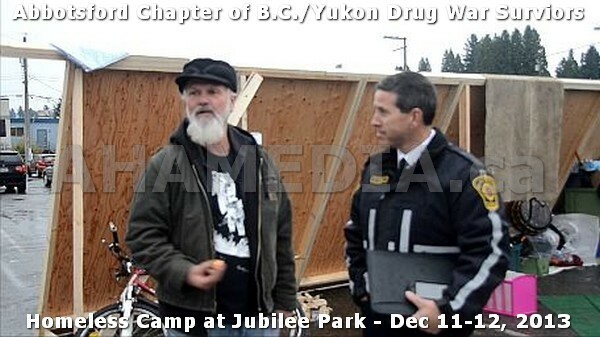 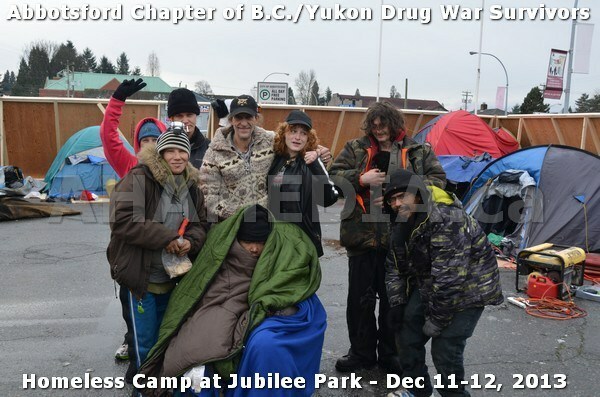 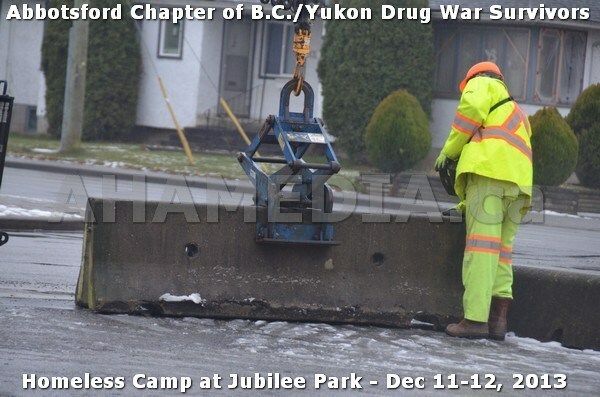 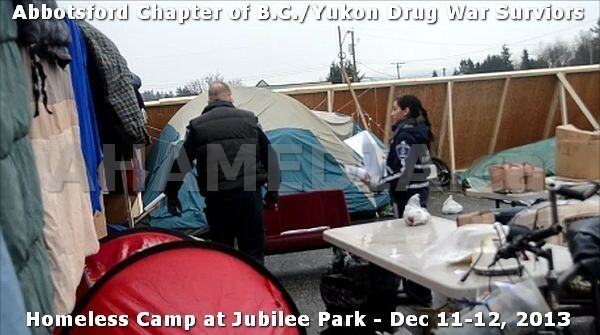 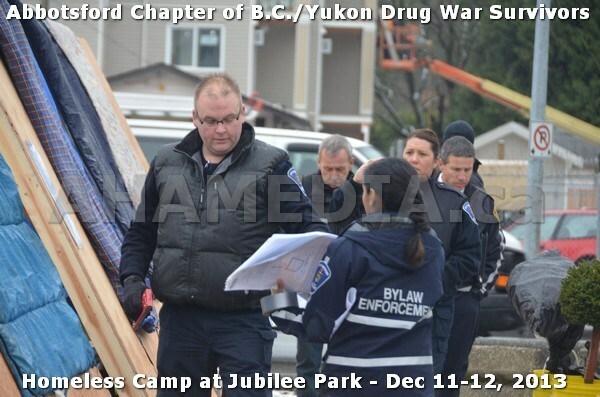 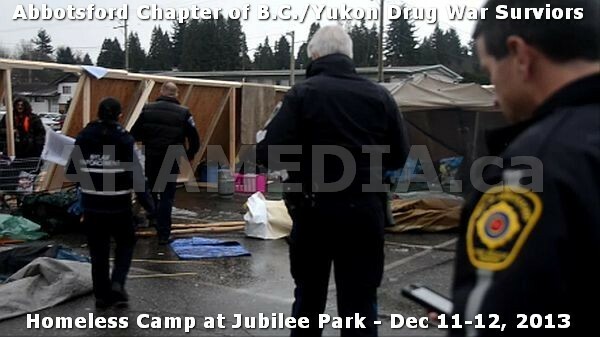 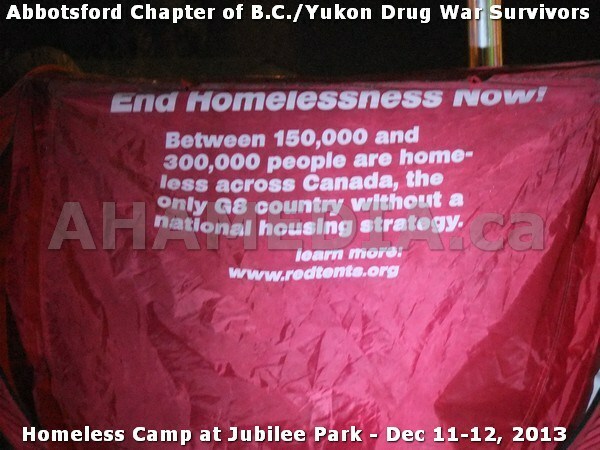 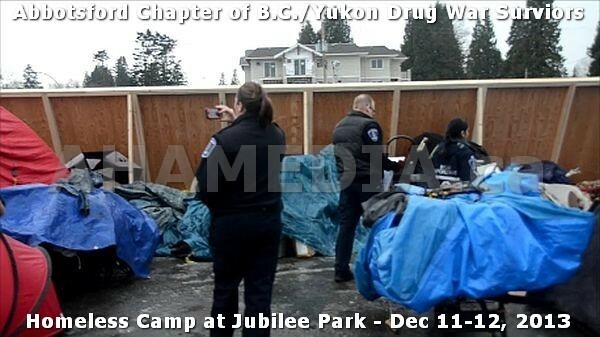 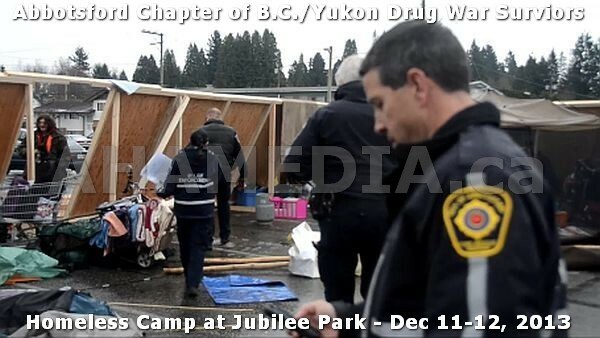 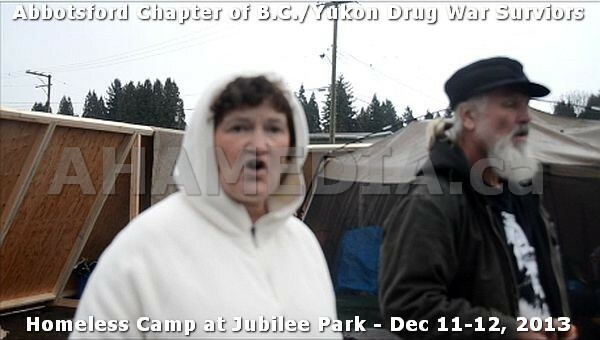 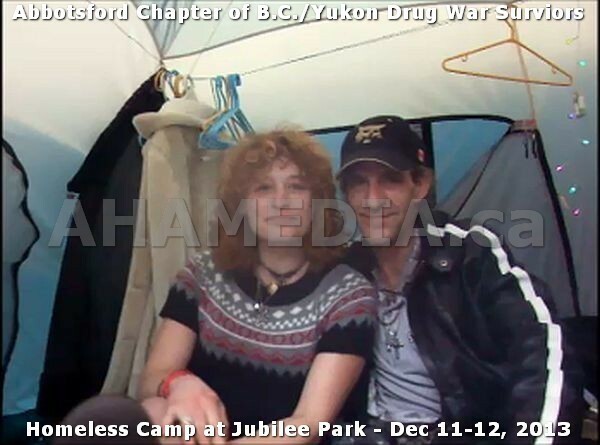 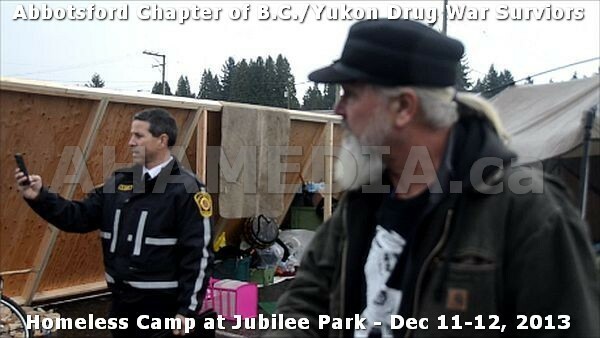 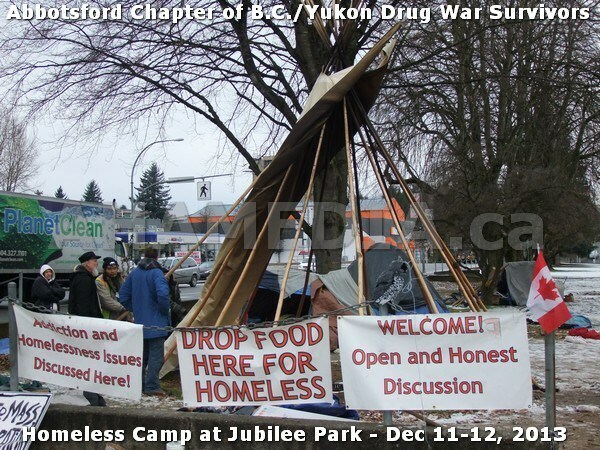 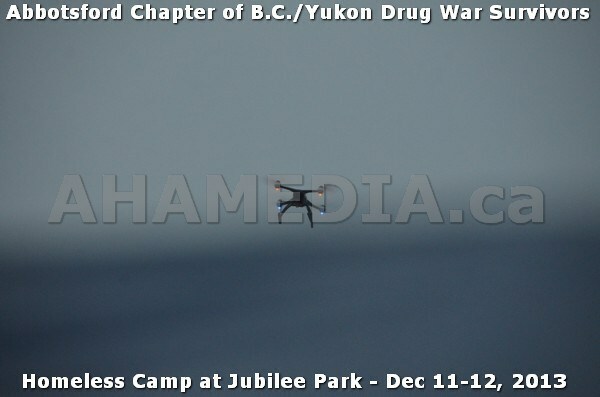 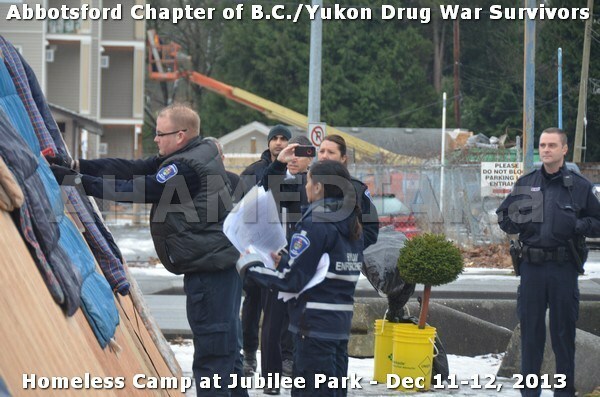 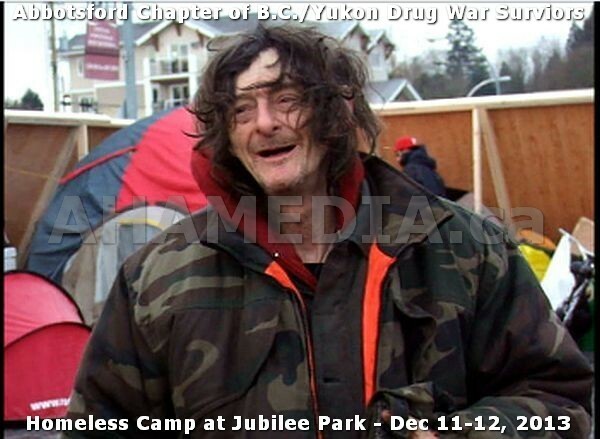 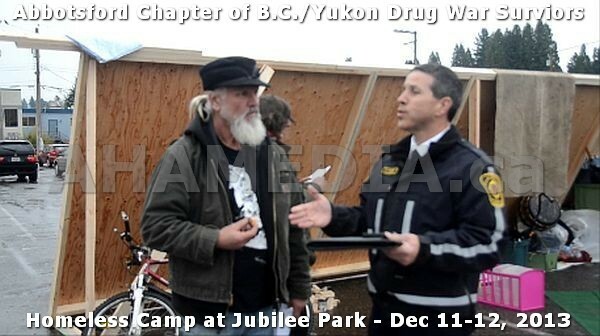 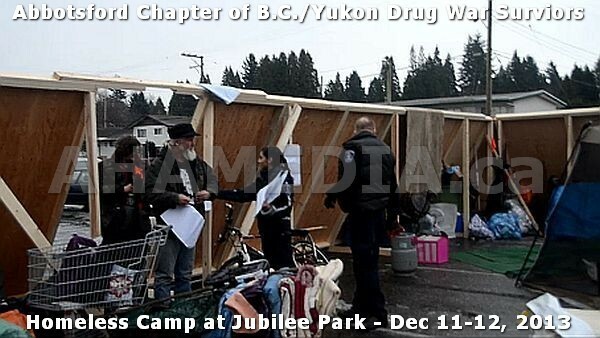 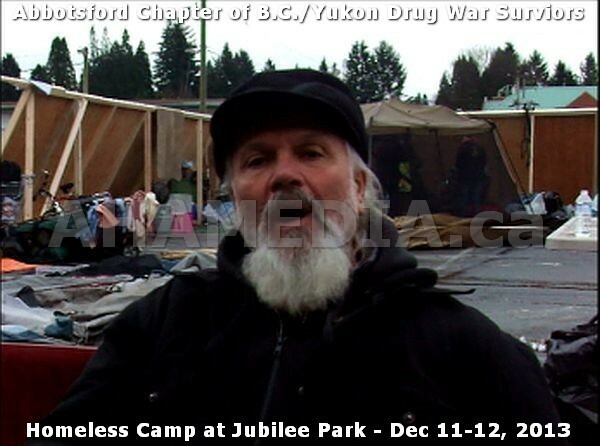 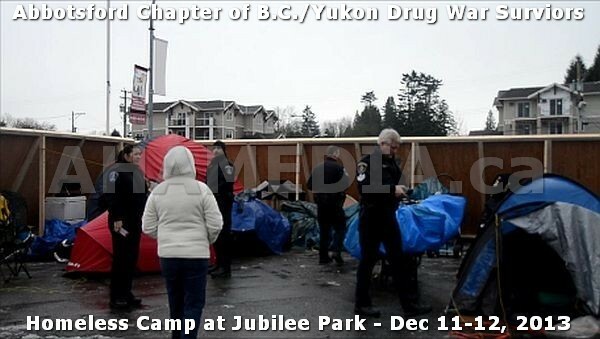 He is the head of the Abbotsford chapter of the BC Yukon Drug War Survivors, and is the recognized leader of the group.